It is with broken hearts that we announce the passing of David Parker on April 5, 2019 in Grande Prairie, AB. He was only 23 years of age. David was born in Blairmore, AB on January 3, 1996. His family watched with pride as he matured into an independent, hardworking and determined young man who hoped to own his own farm one day. This goal started as his way of saying thank you to his grandparents for all the support and love they showed him throughout his life. David was a complex individual with diverse interests. 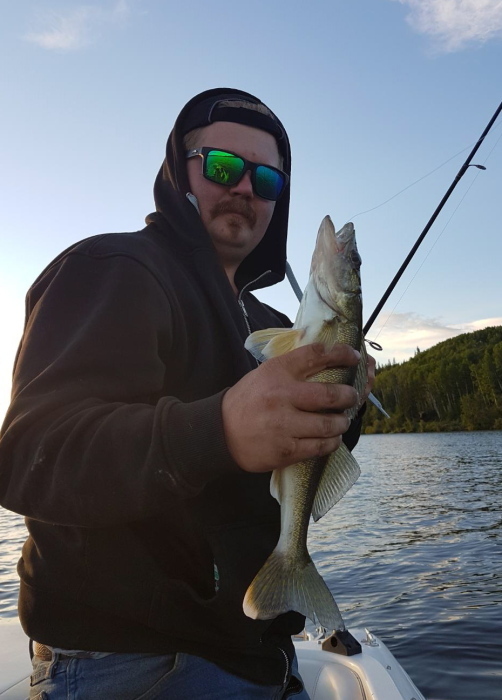 He enjoyed the outdoors while fishing, horseback riding, quadding, dirt biking, mudding and snowboarding, and also liked playing video games and learning about Norse history. David was very intelligent and had an insatiable thirst for knowledge. He educated himself in many areas including science, math and history, and he had a passion for travelling to new and exciting places. No one was more honest or generous than David. He was always ready to lend a hand, and he put his family’s well being before his own. David was never happier than when spending time with his family and friends – how much they meant to him cannot be measured. Although he is gone from our lives, he will live on in our hearts forever. Left to mourn his passing and celebrate his life is his mother, Cherie Bauer; his father, Terry (Tammy Robins) Parker; his brothers, Darnell (Kaylea Coldwell) Parker and Brendan Parker; his grandparents, James and Rena Parker; his great grandmother, Phyllis McWilliam; as well as his extended family and many friends. He was predeceased by his grandparents, Ken and Shirley Bauer; and his uncles, James Stanley Parker and David Alexander Parker. The Celebration of Life will be held at the Cowley Community Hall (126 – Cameron St., Cowley, AB) on Friday, April 12, 2019 at 1:00 pm. In lieu of flowers or memorial donations, please spend some quality time with your loved ones. Condolences may be registered at www.fantinsfuneralchapel.ca.